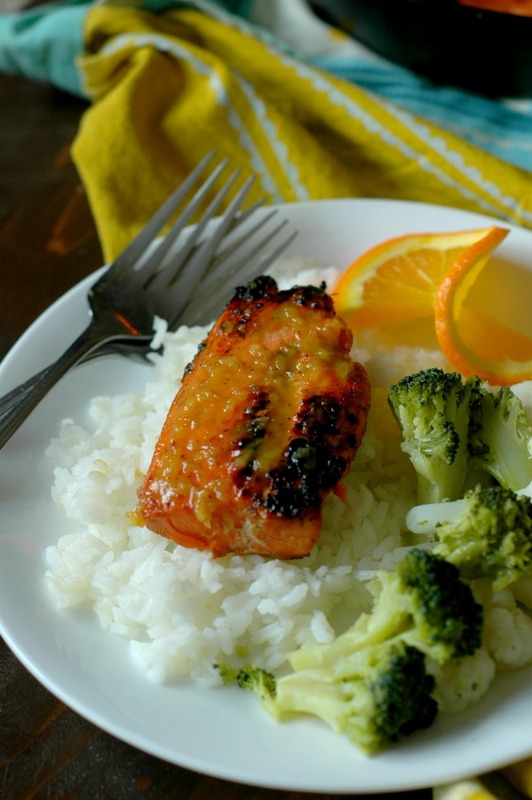 Kid Friendly Orange Ginger Salmon :: Gluten Free & Soy Free! 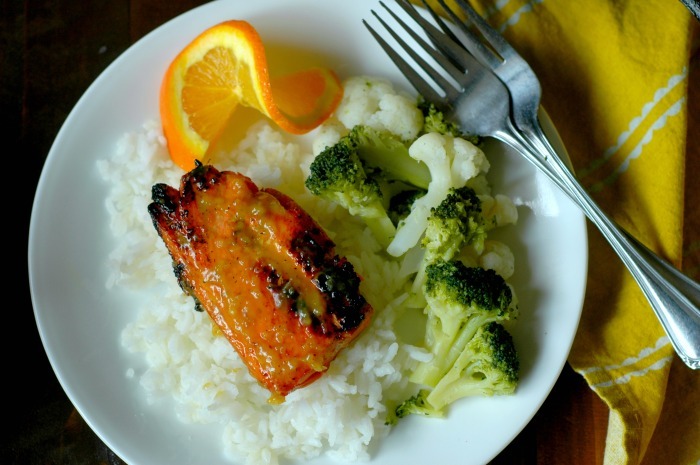 Change up dinner time with brain nourishing, kid friendly, orange ginger infused salmon! A couple weeks ago my girls fell 1 by 1 to the fever bug going through the school. Thankfully it was quite short lived, and my sweet toddler was probably the hardest hit. She kicked her fever like a rockstar within 24 hours, and when she came out of it, she was….hungry! 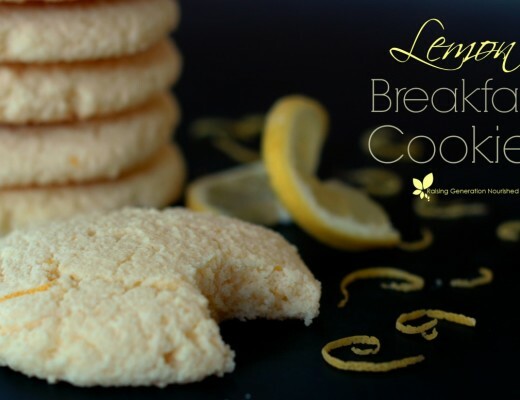 What do you crave as “comfort” when you are ill? New mommas here is my encouragement to you! When you start these little guys out eating really nourishing food from the get go, they become comfort food to them. I don’t know about you, but it took me a long time to re-train my definition of “comfort food” during illness. I’ve gone from Sprite soda pop, Saltine crackers, and peanut butter toast that I grew up on during illness, to bone broth based soups, teas, and meat. She asked for her “pink fish”…. I am literally in awe every time my girls ask for something like “pink fish” (salmon) when they are recovering from being sick. This is my youngest’s typical request. My first born is my soup girl and will eat bowl after bowl when she is recovering. My second asks mostly for anything with fatty fish or raw milk related (glass after glass of raw milk, yogurt, fish, spoonfuls of butter…). It is truly fascinating to watch. Weeknight fast prep with a fancy finish! Fish meals always end up looking so beautiful on the plate – as if you worked on it all day. In reality, pan cooked salmon is one of my favorite weeknight dinners because it is literally just minutes in the pan. You can whisk the marinade up and get the fish fillets in within 5 minutes the night before, and when you get home from work and school, just pop them in the pan. So fast! When it comes to fast fish dinners, I usually keep it pretty simple. In this case, my girls were still recovering from a fever bug that I felt had a digestive component, so I kept the sides to a simple steamed veggie and buttered white rice. Super gentle for the gut. And to be honest, little kids usually go for more simple sides than the fancy ones anyway – at least mine do. Steamed frozen veggies – just dump them right out of the bag! I get the organic ones from Costco! Fresh garden veggies steamed or sauteed in butter – from green beans, snap peas, and zucchini! Crusty bread and big salads made up with all the toppings you want! 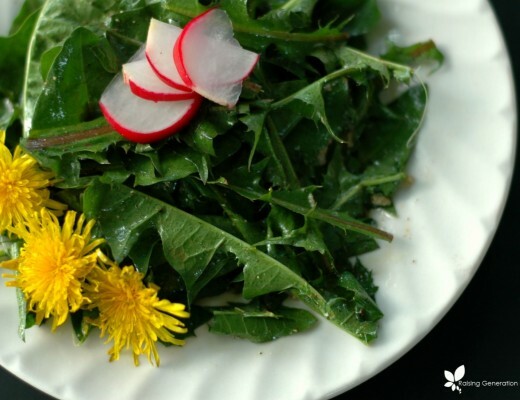 Here are some popular kid salad dressings like Ranch, French, & Thousand Island! I recommend wild caught salmon and to avoid farmed salmon. I realize this can be hard to find in some areas (although it is becoming more widely available as popular places like Costco start carrying them!). 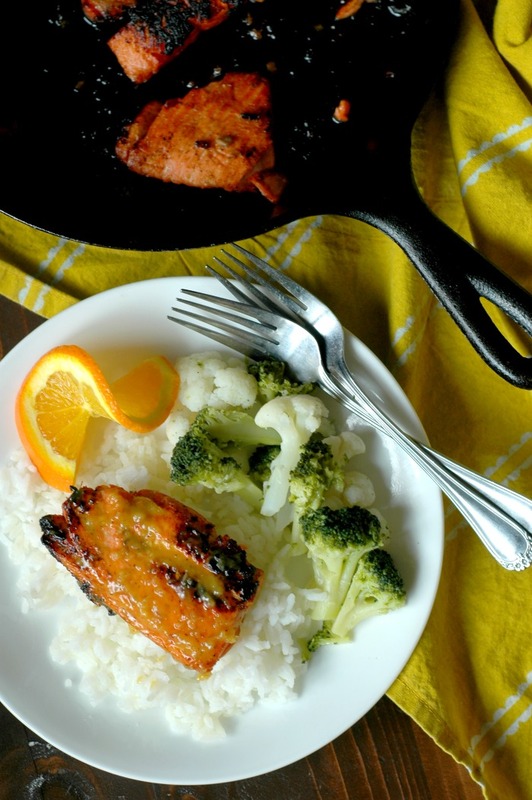 If you can’t find a good, sustainable wild caught source, the orange ginger marinade goes really great with pastured chicken or lamb, and grassfed beef too! I buy my wild caught salmon from Costco (freezer section) for the most part. We also have 2 local fish mongers that occasionally will have it available. If you are local to West Michigan, ask in the comments and I will let you know where we go! 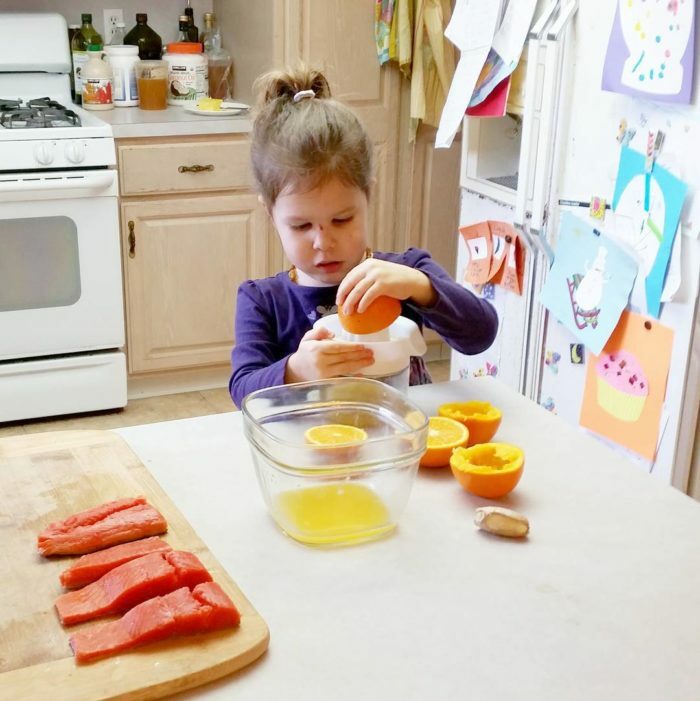 Our family also enjoys Wild Planet canned salmon – if you can’t find fresh/frozen, this would be a great way to get the brain nourishing fats from salmon into the kids. My little ones eat it right out of the can, or you can mix it up with this 5 minute mayo for a salmon salad sandwich! 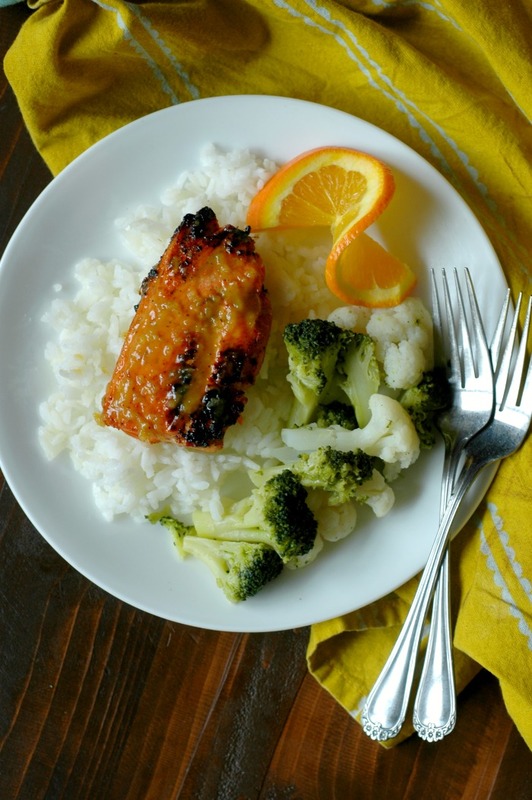 Change up dinner time with brain nourishing, kid-friendly, orange ginger infused salmon! Take the salmon fillets out of the marinade, and pour the marinade in a small sauce pan to reduce into a sauce later. You can strain the marinade if you don't like the bits of ginger in your sauce. I love the added heat from the bits of ginger! Heat a large skillet over medium heat, add the friendly fat to cook in, and then set the salmon fillets in the hot oil skin side down. Don't over crowd the pan. If you have a smaller skillet, cook the salmon in 2 batches. Cook the salmon over medium/medium-high heat for 3 minutes. Flip the salmon and cook another 3-5 minutes to your desired doneness. While the salmon is cooking, simmer the orange ginger marinade over high heat for 5-7 minutes until it reduces into a sauce. At this point you can either spoon the sauce over the salmon in the pan to cook the glaze on, or spoon the sauce as is over the salmon on the plate. 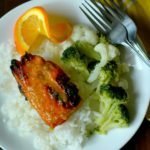 My kids prefer their salmon with very little sauce - my toddler doesn't usually want any. In fact I squeeze a little extra orange juice or lemon onto their salmon and they don't even need the sauce (more for me!). 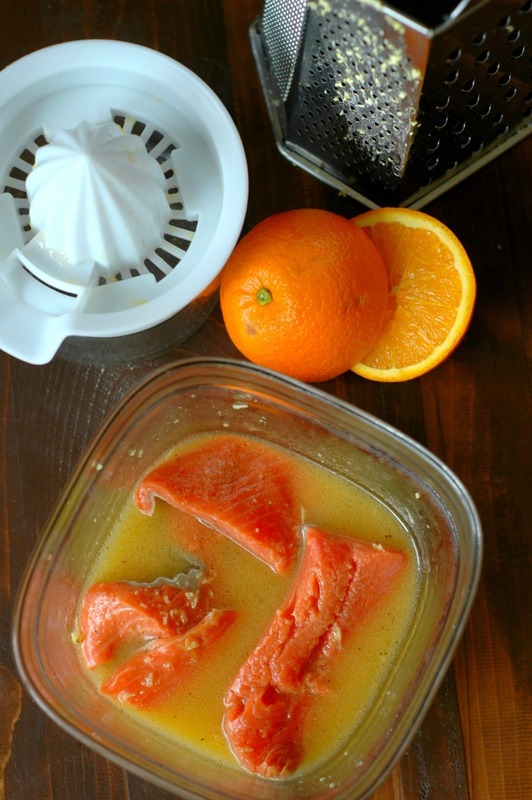 The salmon has a mild, kid friendly orange ginger taste already from marinating so the sauce is just extra if you like it. Tuna Salad for Any Age! Haha aw! Gotta love pink fish! 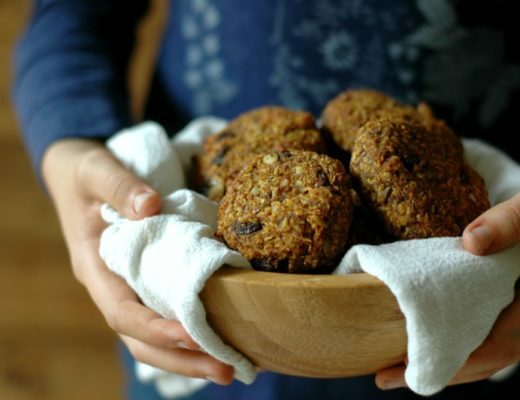 I think it’s so great that your little girl sees this as her “comfort food” – and that’s totally the way it should be. And you will be inspiring a lot of other momma’s to do the same, which is also great. Awesome post! I LOVE LOVE ginger. Can’t wait to try this. My kids are going to LOVE it! Oh I know Jack will love this! Even more if he helps me make it. Looks divine! Renee, this looks so good, it might even get my son to eat salmon 🙂 Love your cute kiddos helping in the photos. I love this so much! Pink fish = “fishy” to my Tiny Love, she loves salmon the same way yours does! 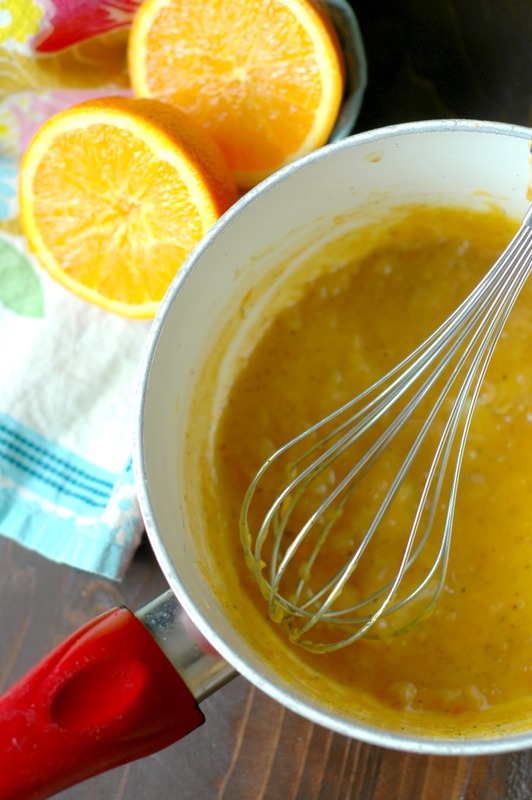 This salmon sounds so delicious with all of that delicious orange juice! So yummy! You’re doing good work finding ways for the kiddos to pack in those omega-3s, while simultaneously making ME want to as well! Yummo. These kid friendly salmon looks delicious. 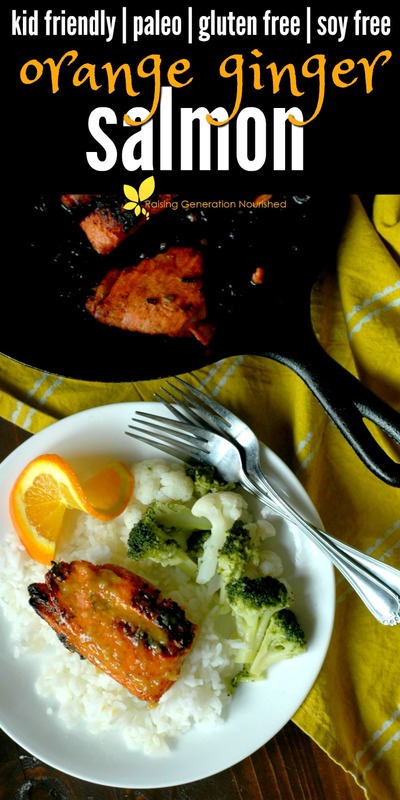 What a great way to teach kids eat more healthy and yummy salmon ! This salmon looks amazing and I’m saving it to try next time I buy some. I love that my 16 month old daughter already loves salmon and other healthy foods. 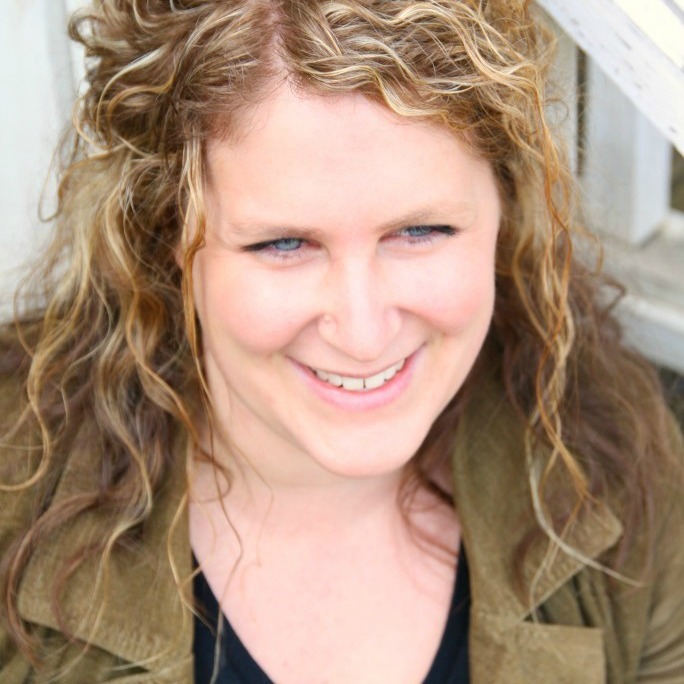 You’re an inspiration to me and I love hearing about how you feed your girls real food! Jessica! No way! I didn’t know that! And I love hearing about your sweet babe – what a great momma! Had this a few nights ago, we all loved it! What a great dinner idea and your little lady is adorable! What a lovely a healthy dinner idea! I love it!! 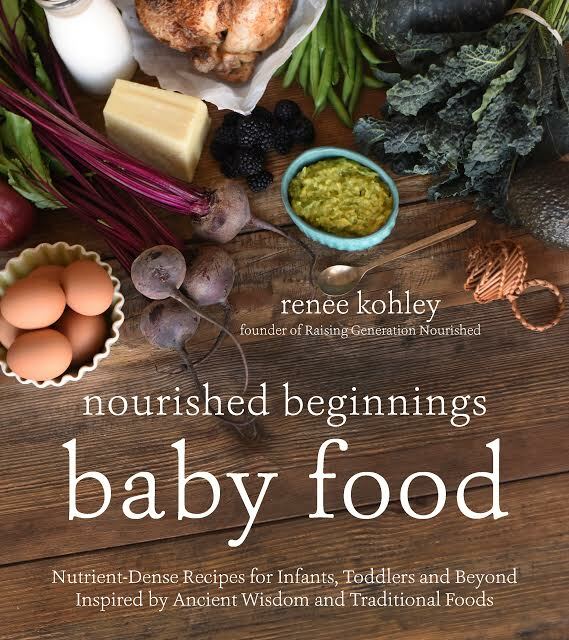 Renee – I always so appreciate your kid-friendly dinner ideas. I’m going to have to test this one out on my boys. This quite literally sounds like my dream dinner! My kids absolutely love salmon as well – throw in your amazing orange and ginger sauce and it’s sure to be a winner! Orange, ginger, and salmon are fabulous together. Love this! This flavor combo sounds like a great way to introduce someone to seafood! I pretty much always crave Asian flavors like this when I’m sick or the classic chicken soup but made with garlic and ginger! Thankfully my daughter loves cooking too, she’s going to be so happy to make this one. I love the flavours of orange and ginger, yum. Hi, I live in West Michigan. What are the two fish mongers you were talking about and where are they located? Hi Amiee! The Fish Mongers Wife in Muskegon and Fish Lads in Grand Rapids!